En primeur Wines, is a way for anyone to buy the most highly-sought after Bordeaux wines one to two years before they are bottled and released on the market. Each spring, thousands of wine professionals visit Bordeaux for the opening of the en primeur campaign. Over 150 of the top estates welcome journalists, buyers, importers, retailers and other wine professionals from all over the world to taste barrel samples of the most recent vintage. The prices are then released by the estate and wine merchants are allowed to buy their en primeur Wines. However, not just any wine merchant can buy these wines directly from the estates, only those who are registered within the Place de Bordeaux system, such as Millesima, can do so. Buying wine futures also allows you to buy the most highly demanded wines that may be virtually impossible to find when they are released on the market in a variety of different formats such as half bottles, magnums and larger-sized bottles. The En Primeur system was created over 200 years ago by the British and was only available for the negoce. It is only since the 1980’s that it has been open to private customers. This system enables the estates to sell their wine through allocations before the wine has been bottled. The readily available funds from these sales are then used for operational and production expenses for the next year. The price of an en primeur wine is almost always lower than the release price on the market. Buying en primeur also allows you to acquire the most highly demanded wines that may be virtually impossible to find when they are released on the market, in a variety of different formats. Customers can purchase en primeur either to cellar and enjoy perfect wine years later, or to invest and resell later at a high price in an auction house. In both cases, customers are looking to gain money on their purchase, either through the difference between the current market price and availability of the wine at the time of the consumption or at the time of the auction. Millesima offers our en primeur selection in the complete range of formats – from half-bottles all the way to Melchior (18L). With this unique advantage, customers are able to reserve their unique format, which become even rare once the wine is release to market. Bordeaux en primeur sold by Millesima are exclusively sourced directly from the producing estate in their original packaging. Millesima has been the fifth largest buyer of Grands Crus Classés wines since 1983 on the Place de Bordeaux. We have served more than 150,000 private customers in over 120 countries and have more than 2,500,000 bottles ageing slowly in our cellars in Bordeaux. Buying En primeur wine also allows you to purchase the wines in their original packaging as provided by the producing estate. Each item is marked as either in “case” (wooden case) or “box” (cardboard carton) on the item page. 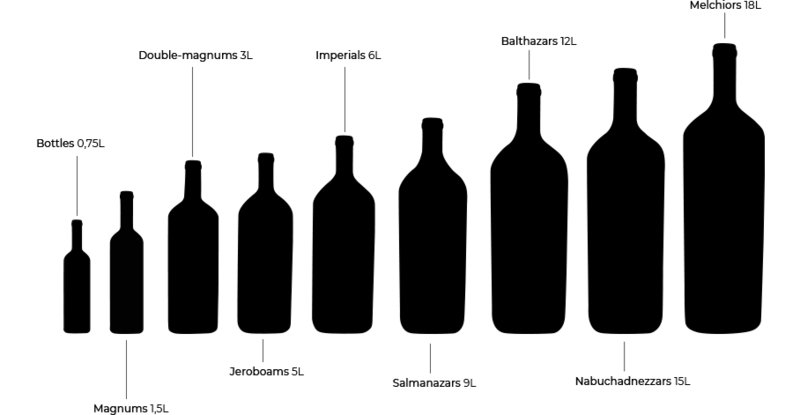 The cases are available in 6 or 12 bottle cases depending on the estate. En primeur wines are an excellent way of building a collection, investing in wine or simply to buying wines for a special occasion. Indeed, it is quite common to buy en primeur wines to obtain the wine for an anniversary year, a child or grandchild’s birth year, or even for a special occasion such as retirement, graduation, marriage, etc. We are able to offer a certificate of purchase to offer the recipient before the wine is bottled.